South Africa heads to the polls in 2019 and already two new Christian-based political parties have put their hands up, with more expected to come to the fore before the national ballot takes place. To date, the Renewed South Africa Party (RSAP) and the African Covenant (ACO) party have registered as political parties and intend contesting in the upcoming national election. However, South Africans have traditionally not voted along faith lines, even though the majority of South Africans identify as being Christian. 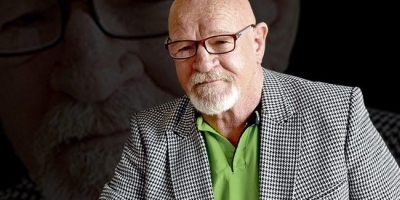 Theo Venter, a political commentator affiliated with the University of North West (UNW) says that globally Christian parties that are formed in countries that have voter bases with largely Christian values have not fared well, and South Africa is no exception. “Christian parties have found it hard to get a firm grip in politics even in countries where theoretically they should be able to,” he says, saying it has generally been an uphill battle for them. In South Africa, the African Christian Democratic Party (ACDP) currently has three seats in Parliament, reflecting 0.57% of votes cast in the previous national election and making them the 9th placed party in the country. At its height it had 7 seats in Parliament after the 1999 elections, making it the 5th biggest party nationally. The ACO Party’s Dr Convoy Baloyi. The ACDP, the only faith-based political party currently represented in parliament, is aiming high in the 2019 elections, hoping to become the third-biggest party in the country this year. While Venter points out that an increase in faith-based parties could fracture the faith-based voters base more, according to Reverend Kenneth Meshoe, leader of the ACDP, he is not concerned about new faith-based parties eating into the ACDP’s voters base. Meshoe says he anticipates more faith-based parties coming to the fore this year and urges Christians to look at the backgrounds of the people putting themselves forward to be elected before supporting them. According to Meshoe, the ACDP is seeing a surge in supporters from other political homes, including the African National Congress (ANC) And Democratic Alliance (DA). He says this had led the party to revising its target for the 2019 elections from being the fifth biggest party in the country to third. “Pastors preached against us from the pulpit,” when the party was first formed, says Meshoe. “We stood for Christ when it was not fashionable and now people realise it can be done. Now we are starting to see that people want to support what is there and has proved itself. Meshoe points out that the ACDP has Christianity in its name as a democratic organisation, which means it’s values, principles, and roots are in Scripture. “We are not ashamed to be associated with the Scripture. Accountability, ethics, justice — these are things you find in Scripture. There is no danger of church dogma or doctrine with the ACDP. We understand that Jesus himself gave human beings the right to choose — He never imposed himself on anybody. Because Jesus never imposed himself on anybody no party has the right to impose anything on anybody,” says Meshoe. With regards to 2019 as election year, Meshoe says that political analysts and scientists agree that there is no liberation movement in Africa that has been in power for less than 20 years due to the loyalty factor. He believes that loyalty is what drove Zimbabweans to vote in support of former President Robert Mugabe for so many years, for example, but that there is a 20-25 year ceiling after which voters generally start looking for options. “In South Africa the ceiling of loyalty has been broken and the 2019 elections will be a true tester for the South AFrican population’s wishes and attitudes towards the ACDP,” says Meshoe. The Renewed South Africa Party (RSAP) is led by Professor Cornelis Roelofse, and proposes a shift away from a top-heavy governance structure to one that is based largely on district or regional administrations. Roelofse believes that there is room for faith-based parties to differ on policy and that the Renewed SA model places service delivery at the forefront. He says that where faith-based parties agree on issues they will work together to promote Christian values. Renewed SA is aiming for representation in a number of provinces after the election as well as some seats in parliament nationally. This will allow the party to grow its base as it is currently largely self-funded by members. The party has already seen support increasing in Limpopo, the Cape, and Gauteng, and plans to mobilise more in KwaZulu-Natal. Roelofse says he believes many Christians have not been active in politics in the past as their faith was often seen as a private matter, but that the country’s current leadership is seen as untrustworthy, creating the need for a biblical alternative. Baloyi believes that the ACO is going to “shock the system” and be the ruling parting in South Africa after the next election, something he believes is “supernaturally possible”. Baloyi believes that he has a calling to be a righteous leader and that God will not allow South Africa to be governed by the unrighteous beyond the elections. Baloyi says that in the eight months of ACO’s existence it has seen significant support at ground level, notably in the Free State, KwaZulu-Natal, and in the Eastern Cape. Christelle du Toit is a multiple award-winning journalist and communications specialist. 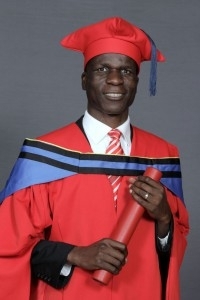 I believe that prof Cornelis Roelofse has formulated the best possible system in governing South Africa.It’s just a shame that south Africans aren’t ready to vote according to their christian orientation. Rev Meshoe and his wife have proved themselves to be worthy of the trust of SA citizens plus they will be supported by dependable, trustworthy people like Adv. Schwartz. My only concern is for my language, Afrikaans, so for me it will be either ACDP or VF+ who also uphold Christian values. I believe the Holy Spirit has spoken to me saying that voters who claim to be Christian and belong to a church and deliberately choose to give their vote to ancestor, atheistic, and/or socialistic parties will face the judgment of God in their lives. David was a man that stood before God and knew how to go out before his people and how to come back after war with the enemy.That’s what made him popular amongst the Isrealites.God will give the Nation of SA over to the leader that is willing to worship HIM and to make HIM God of SA.God instructed Gideon to shift his ten thousand soldiers to 300.Only those that are knowledgeable will survive.In Judges Israel called on a brave man like Jefta to lead them and i think this is what was intended by Pst Naidoo to get 30 strong leaders behind him.In recent history we read about Rev. Martin Luther King that was also surrounded by strong Godly men and women that can take to the streets and win Christians and non Christians to vote for Justice and against corruption. 10 Months ago I prayed about God’s purpose for my life. Having being in the prophetic ministry since 2001, when the Lord Jesus revealed His will for my life, I wondered what His will was for my life in South Africa. Little did I know what was going to happen… On my way to pray about this burden upon my heart, I got a phone call. Since that time I have been part of the totally Godly process of developing and rolling out a NEW WINE SKIN Godly political party – ACO – African Covenant. ACO is called a God-fearing party with a righteous/biblical mandate for politics. The Leader God has chosen for this party is an awesome humble man of God that is uncompromising in His stance for ACO as a righteous government to lead South Africa. I believe God has determined that South Africa’s time has come to be governed by a NEW Godly & righteous political party from 2019. In Ps 133 it says “How wonderful it is, how pleasant for God’s people to live (work) together in harmony…That is where the Lord has promised his blessing.” In 1994 the world called our peaceful election “a miracle” and it was because God’s people came together across the church boundaries and prayed for our country. God answered his people. What God starts he finishes. The ACDP was the first Christian party in SA. Now we have more than one Christian party for this election and I have to ask, where is the unity that the Lord looks for amongst his people? We serve one God therefore we should be one in Christ and vote for one political party. Otherwise we dilute the vote through disunity. Denominationalism is a spirit of disunity. We Christians should put aside our likes and dislikes for the greater good of our country. We are in a huge spiritual battle and only by standing together and with God’s mighty hand over us do we have any hope of reclaiming our country and restoring what the locusts have eaten.